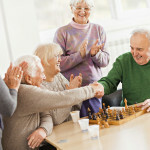 Help, my nursing home may end up in the SFF Program! Many nursing homes don’t know much about the Special Focus Facility (SFF) Program, other than it’s a bad sign and a letter you don’t want to receive from the Centers for Medicare & Medicaid Services (CMS) shows up. CMS has indicated that it has strengthened this program, so here at CMS Compliance Group, we wanted to make sure providers understand what happens throughout the lifecycle of being included as a potential candidate to the SFF Program and then through the facility’s either graduation or termination, depending on the outcome. Let’s look at what happens once a facility has been initially selected as a SFF. Imposition of Remedies: If the facility fails to achieve and maintain significant improvement in correcting deficiencies on the first and each subsequent survey after it is designated as a SFF, CMS or the SA will impose an immediate remedy/remedies on the facility. CMS’s strict outlining of increasing enforcement remedies signals its intent to force nursing homes to quickly address long-standing issues or they will feel it in their pockets. This follow suit with the Mandatory Imposition of Federal Remedies notice that CMS issued in 2016. Last Chance Survey: If a nursing home remains in the SFF Program after three consecutive standard surveys (a full survey cycle), and the most recent standard survey had deficiencies cited at a S/S of “F” or greater (“G” or greater for LSC), then the SA will schedule another standard survey – a “last chance” survey. In our next blog post, we will look more at survey results and how progressive enforcement will be implemented. If you missed our first two blog posts, CMS strengthens SFF program with FY 2017 Special Focus Facility S&C Memo and How Nursing Homes are Selected as Special Focus Facilities, they provide good background information on this program.